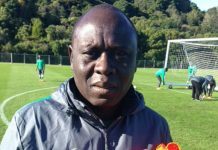 Chagchun Yatai of China striker, Odion Jude Ighalo turned spiritual and philosophical in celebrating the birthday of his son, Daniel, as the Super Eagles star showered several words of prayer on the lad. Although Ighalo sent out an earlier birthday message that appeared to have been done in a haste, footballlive.ng can report that the Ajegunle, Lagos brought-up went deeper later on. 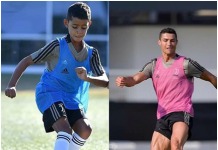 In his second posting to celebrate his son’s birthday on social media, the ex-Julius Berger FC of Lagos, Prime FC of Osogbo, Lyn Oslo of Norway, Udinese of Italy, Granada of Spain and Watford of England star showed his true value as a pious soccer star. Ighalo and wife, Sonia have been married for seven years, with three children to show, two boys and a girl. 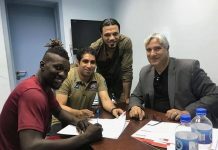 The 29-year-old striker said his family will not join him in China because they are already used to London, where the children also go to school. 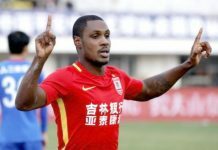 Ighalo admitted he does not want to move them because the education in London is better than in China. The soft-spoken attacker also disclosed that he moved to The Oriental Nation in order to secure a solid future of his children, one of who he prayed for lavishly on Wednesday. Ighalo stated: “Happy Birthday To A Very Handsome Boy. 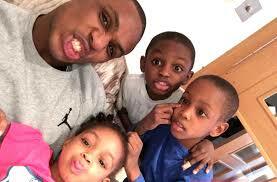 The Prince Of The Odion Ighalo Family.